I get accused of being highly idealistic quite a lot. It’s a fair accusation as I am highly idealistic. Due to my strong belief in Heaven, when I look at the world I live in I see ideals half realized. I see people longing to be loved and who I believe will be loved far beyond what they can imagine and well beyond what they deserve; because I believe them to be created by God who is love. I see purpose, promise and adventure behind what strikes others as common or even repulsive in its poverty. But today I wanted to discuss a different sort of idealism, the political idealism that always sweeps around the presidential election season. Regardless of your personal politics, the quest for a political savior to single-handedly solve all the world’s problems by November the following year drives.me.crazy. Not only does social media make the process even more obnoxious, but the waves of idealism are too much even for me. For starters, I can’t stand the “It’s Time for a Woman” President similar to last year’s “It’s Time for an African American” President. Would it be a cool and historic thing to have that happen? Most certainly. But do you know what I think it’s time for? Something cool, retro, and that the world hasn’t seen for decades and certainly not in my lifetime: a good president. In my limited experience, American politics is a cross between a joke and a bad dream you can’t wake up from. But it’s not just the establishment’s fault. Networks wouldn’t insist on showing those “debates” on T.V. if no one watched them. I never know who is more ambiguous, the voters or the politicians themselves. Most I encounter claim to want change but never talk about what sort of change or how to attain it. Instead, they all seem to prefer falling in love with the flowery rhetoric that requires no actual commitment because it’s easier than agreeing on an acceptable standard to determine what would constitute acceptable results/progress for any sort of change in the first place. Politicians can’t be held accountable if the people themselves give them nothing tangible to accomplish. Politicians won’t offer anything tangible because true change, true action, would risk alienating certain members of their voter base as it is impossible to please everyone. If this weren’t true to some degree than Donald Trump would have zero appeal to voters as a candidate. While his idea to build a wall to keep immigrants may well be the worst, most un-American thing I’ve ever heard it is something tangible. Walls are either built or they are not. He doesn’t waste voters time talking about how walls are nice, or how walls work for some people but not others and how we need to respect all people’s opinions on walls. And Trump is a frightening prospect because I don’t see any love or respect for anything other than himself and selfish men do not make good leaders. 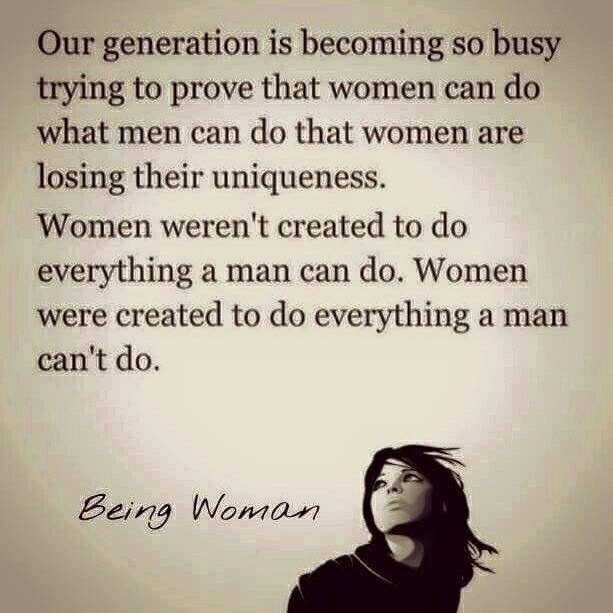 Neither do selfish women, in the spirit of equality. But on the opposite end of the spectrum, the true inspiration behind this post was that so many on Twitter today were “feeling the Bern” and promoting him as a moral candidate by virtue of his pushing for a moral economy. And it never works. Ideals are never realized and people become cynical because politics constantly promises more than it can deliver, and in my opinion that’s why all political people ever do is talk in varying degrees of hope and condescension. Talk of how others should fix something, how others should change, how others should stop being ignorant in their love of Trump… In short, talk of how the world would be a better place if it was full of people more like themselves. And I can’t stand it because this pride blinds to the only thing that has ever changed the world for the better: love. Yet this change they truly seek is not going to be dramatic, global, sweeping, or entertaining. It’s not going to have a bumper sticker or a benefit or a stage of any kind because none of those things have the power to change people’s hearts, which is the only way to make the world a better place. What changes people’s hearts is when they say no to the world. No to the temptation to say something awful about their neighbors, no to crappy television, no to the temptation to pride and superiority, and yes to those brave and wild moments when they go out on a limb and actually love their neighbor even though it might be the opposite of what they feel like doing. And my belief in this simple observation comes from the fact that I am a lifelong Catholic and was in a secular service sorority and, unlike vague political mandates, I have seen this method work time and time again. It is arguably the prime reason I am religious but not at all political because politics tells me to trust the power of the state whereas religion tells me to trust the power of God, and only one of those things has ever had the power to change my heart and open it up past my selfish nature to see in blazing color the needs of others. This may not have changed the entire world but it certainly changed mine and maybe my tiny corner of Pittsburgh is better because of it. So now if I look remarkably calm in spite of the political mess we seem inevitably headed towards you can know it is because I’m not disappointed or even that surprised because I don’t believe in saviors. 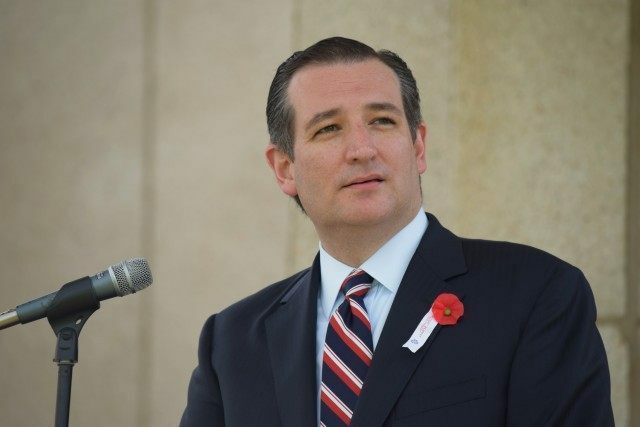 No, in spite of the giant picture this isn’t an endorsement for Ted Cruz. I still have no idea who I’m voting for but the nominations on both sides of the aisle are enough for me to contemplate moving to Australia. The author of the article thought to point out that if a candidate had made some such declarative statement about another religion or identifier (race, ethnicity, gender, etc.) such as, “I’m a Mormon first, American second” or “I’m an African American first, American second,” then that person would have instantly lost the presidential election. He pointed out that the Christians are the only religion/group of people with such a privilege. b) if I don’t have a natural, inherent, or God-given right to chocolate chip cookies I ought to have it granted as a civil/constitutional right because if I looked at other groups of people I would see that their wealth gives them the privilege of having chocolate chip cookies whenever they so please and I ought to have that privilege as a right in the name of equality and fairness. I would love to see this law enforced just to show what a disaster substituting the measure of justice with the measure of modern notions of equality would be. That, and I’m very pro-cookie. But with this delightful model of debasing true justice, which, surprisingly, is perpetuated by Americans who have theoretically learned or been exposed in some way to American government and the ideals of democracy through their public or private education, it is easy to see how even the most minor things can quickly get blown out of proportion. To observe how feeling, narrative, and public opinion can be used to shift and alter the meanings and definitions society attaches to words. It’s a clever game, but one, I would argue, that comes with dangerous consequences to the health and well-being of society. But while I’ve made a few what I hope to be thought-provoking assertions, I still haven’t explained why the quote was so interesting in the first place or answered the question posed by my fellow writer as to why Christians are the only group allowed the privilege of proclaiming their loyalty to their faith above their loyalty to their office. For starters, I believe the author is right in saying that Christianity is the only religion you could claim to be loyal to above your job and/or public office and still expect to win in an election. However, I reject my fellow writer’s cynical conclusion that this is entirely due to prevalent white privilege across the country because such a conclusion is drawn from an overly simplistic view of the situation which I find to be shallow, logically lazy, and ultimately false. What this author did not stop to think about was anything beyond the most recent news headlines, because a proper analysis requires a bit of history, so bear with me I’ll only include what is absolutely necessary. The Jewish religion and subsequently the Christian religion have not only been monotheistic (believing in only one God) since their foundations, each also has a long history of placing the Church above the state, if you will. Ancient Jewish leaders would not pay homage to Pagan Gods worshiped by the Roman state, and they paid a sort of tax to be exempted and got around the law by promising they would pray for Roman leaders to their God. Pretty crafty politics, I give them an A. Similarly, the striking amount of martyrs in the early Christian Church sent a pretty strong message about where Christian loyalties lie. Because both religions were meant to be in the world, but not of the world, never losing sight of the heavenly kingdom they firmly believed themselves (to this day) to be citizens of, belonging to their God not as mere servants or worshippers, but as sons and daughters. This reality was not something reserved for death either, the consecration of the religious (lay people included in that term) was a firm intertwining of God and man, in Christianity through the intermediary of Jesus, that began in the soul and was by its essence so consuming that God and man could not be individually separated back out again. I would argue that this long-standing history created a precedent for these religions, an expectation and understanding that they could not violate their moral conscience even in obedience to the powers of the world manifested in the state, even on pain of death if it came down to that. As much as people and curriculums will try and convince you otherwise, the United States was founded as a Christian nation because the revolutionaries who defeated Great Britain not only rejected absolute power in the name of democracy, they also gave their citizens rights based not on the authority of the state but rather in response to a recognition of a truth they found “self-evident.” A truth which stated that all men “were endowed by their Creator with certain unalienable rights… [such as] life, liberty, and the pursuit of happiness” that the state had no right to take away. They in effect placed the authority of God above the authority of the state and admitted openly that the state had no authority to take away that which it did not grant. Their design from the outset was a government that respected fundamental human rights that were inherent, natural, and God-given. Subsequent laws would be structured to respect and nurture this foundation of freedom and equality each man possessed as a child of God. If you want to be cynical and call the founding fathers hypocrites because of the existence of slavery, which deprived slaves of these basic human rights, don’t forget our currently widespread and government funded practice of depriving our unborn children of all their human rights so that we can murder them without legal consequences in order to “have a better life” for ourselves. In this light, America could rightly be termed a Christian nation because her laws were derived from the rights granted by God, specifically the Christian God (and Jewish God of the Old Testament). Therefore Christian politicians are allowed to say “I’m a Christian first, American second” and reasonably expect to win an election because the office they held was designed to protect and uphold the natural, inherent, and God-given rights that were promoted under the Constitution. The law and religion may have been “separate” to encourage religious freedom and discourage religious persecution, but it did not follow, as is often implied today, that Christianity and public office, Church and state, were incompatible. I would even argue that in an era where there was more reverence for God it was generally understood that religions were truly sacred to their worshippers and not merely meant to be lumped in with other identifiers like race and ethnicity as it is on all the obnoxious standardized government forms. However, in our modern era that seeks to divorce the rights of law from their basis of natural, inherent, and God-given rights, a process which I chronicle frequently on this blog if you’d care to read more about it, we are content to trade truth for relativism, justice for equality, and love for tolerance yet maintain the audacity to blindly wonder why the world is the way it is. We please ourselves with these shams, these cheap imitations of what is true, good, and beautiful because they require less of us, yet we adamantly refuse to take the blame when they yield poor results, preferring instead to shift the blame on some vague, corporate, institutionalized other that, once modified and “evolved”, will give us the same truth, goodness, and beauty as the real thing without the cost. An invitation to place your hope in the world and adhere to laws divorced from their foundation in order to join this subjective worldly religion that God Himself has no place in. Those I debate with tell me that this is the world the founding fathers envisioned when they separated Church and State. I doubt that. Yet this is the current reality and it perfectly explains why my fellow writer is so baffled as to why politicians can claim to be, “Christian first, American second” and still expect to win the election. He was never taught the connection in the first place, and that is a shame. And I think it worth noting that we are facing an old temptation with its usual glamorous allure but an even stronger influence due to the interconnectivity and shared media narratives of the modern world we all live in to throw off the “limitations” of morality and live thoroughly for ourselves and our own enjoyment. A world where laws reflect not what is universally right but instead what is relatively popular. And as this divorce happens I believe we will be asked to make an outright choice that’s as old as time itself: which way do you want more? Which is just another way of asking: which do you love more? I don’t know about the rest of you, but I’ve made my decision. I’ve been blogging for a short time now and while I’m still a very small deal (if I’m any kind of deal in the first place) I do get a lot of interaction from this website- so thanks for making that possible with your readership! I genuinely do appreciate it. I still find it incredibly humbling, even after these many months. I kind of can’t comprehend that as many people would read my stuff as they have, so thanks again- really. Anyway, today I wanted to pay tribute to a comment that someone posted to my article that I just can’t get over. It was in response to Bad Feminism and the comment was this: “The ‘political movement’ you’re referring to is called equality.” The person’s misunderstanding of my article fascinated me because the entire misinterpretation hinged on our differing opinions as to the definition of the word equality. And while this commentator tried to enlighten me to his definition as you saw above, he missed the point of my article expressly because he did not catch the distinction in our definitions. To elaborate, we were discussing feminism and we disagreed about the nature of the feminist movement. The commentator sees feminism as a political movement for equality between men and women that makes fantastic strides for my gender whereas I see feminism as an evolving cultural movement with its roots in political equality that undermines authentic feminity. What he did not understand/care to realize was that I’m not against giving women the right to vote or giving them equal pay or giving them access to an education because I think each person is born with an inherent, God-given worth that far transcends politics and makes no distinctions. However, I find it offensive that a woman’s worth is now subject to judgment by worldly standards of power, the types of power which have traditionally been held by men. By that I mean I can’t help but notice that a woman’s societal worth is measured in terms whether or not she is as successful as a man in doing whatever a man does. It places women at a disadvantage right from the start because it automatically assumes that men are inherently superior to women and that women “bridge that gap” by successfully imitating men and/or surpassing men entirely in any arena where competition is plausible. That is why my masters degree in elementary education was once laughed off by a feminist speaker at a lecture I attended, because women have always been good at the whole “children thing,” and if I wanted to truly assert my intellectual prowess I ought to do something more, in a word, masculine like business, science, or politics (although she didn’t say masculine, I believe her word was empowering). What she essentially meant was that her view of women was to see them as unequal and inadequate men, and her solution to this was to encourage women to behave like better men than men. Therefore, her insult to my studies was to be viewed as a compliment in this bizarre light, because she essentially believed that I had the power within me to transcend my lowly womanhood (of children and childbearing) and succeed in the world of men, thereby validating us all. I prefer the direct approach of entirely rejecting that view for the utterly infuriating nonsense that it is because not only is her conclusion drawn from dubious logic, it is bad theology (might I recommend Pope John Paul II’s Theology of the Body because he explains it better than I could ever hope to). And I have always viewed men and women as complementary halves to a beautiful whole picture rather than two separate whole pictures competing for the same position of prestige on the wall. Moreover, the true definition of equality is hard to measure because it is, in essence, the measure of two things being equal, and beyond mere mathematics this can be a hard concept to quantify. So best of luck to my opponent in this debate because I am inclined to believe he will never achieve the equality he strives for because life is not static and equality is. And if we insist on politicizing something so abstract, then with every change that life inevitably brings, the moment that one gender is perceived to have an advantage over the other the messy process of state mandated equality will begin again. The protests will ensue, demands of the injured party will be given, and the whole cycle of negotiations and political rhetoric and social media outrage will carry on for an indefinite amount of time as each side grows more acrimonious. And the more I see the ideal of equality unfold the more I see it play into a culture of victimhood where the disadvantaged seek not equality but a sort of revenge against those who once had an advantage, which is also not equality, merely a reversal. I know my opponent may have the best of intentions when he espouses ideals of equality for all, but I still can’t help but wonder what continuing down this path will truly accomplish. Because I could tell from his condescension that he had already written me off as an opponent to his cause and was more interested in demonizing my dissent by highlighting my ignorance (the only conceivable explanation for my dissent in his mind) than he was in listening to me, and that is the tragedy of modern politics and of most modern debates. And with these observations in mind, it is easy for me to discern that I will always prefer the path of Christian love of God and neighbor to the path of retribution because purely human justice has its limitations, and I pledge my life not to human ideals of justice but to Divine mercy.